Kataru's love and pursuit of Farming: Almonds come out of their closet when they are mature enough..
Almonds come out of their closet when they are mature enough..
And it's a good thing for us. 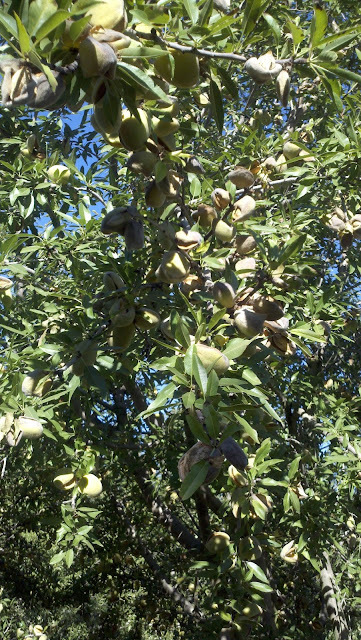 Looking at Carpenter ranch nut maturity.. Some are still too green. Perhaps in a week or 10 days, they will be ready to shake?